These vintage heirloom seeds are beautifully packaged and will add a touch of nostalgia and variety to your vegetable garden and dinner plate. 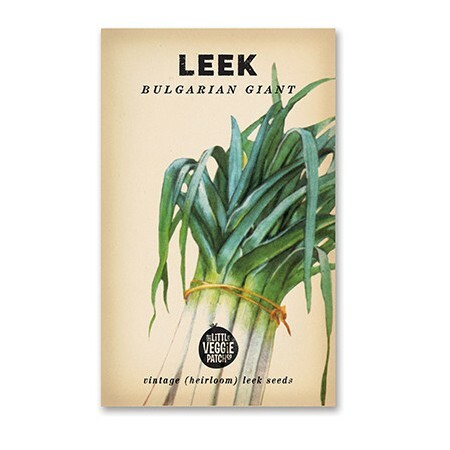 The Bulgarian Giant Leek is a shade tolerant vegetable best suited to most free draining soil types. A great companion plant for carrots. 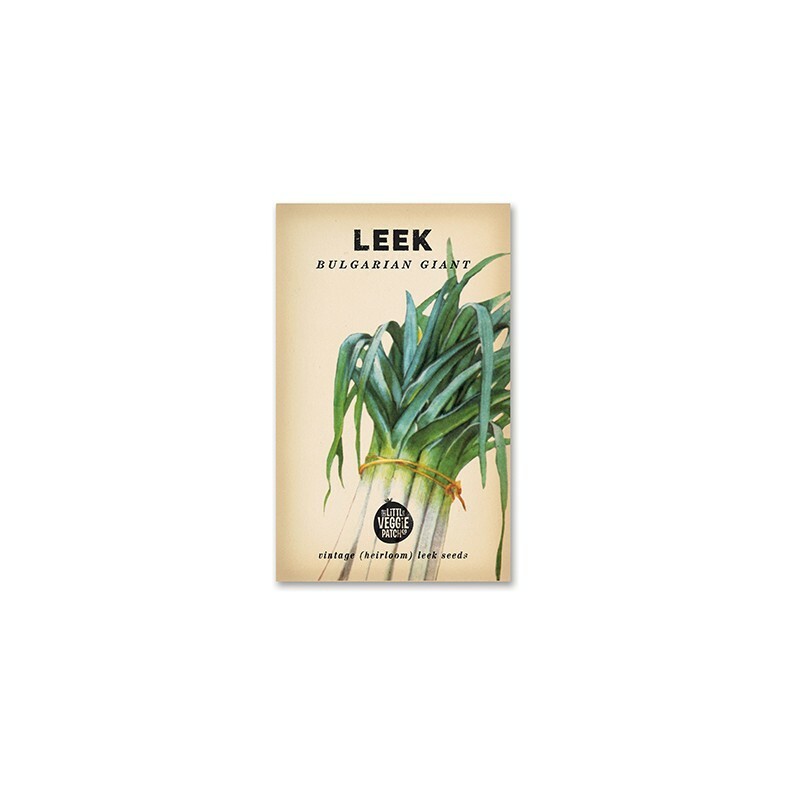 The Bulgarian Giant Leek is a shade tolerant vegetable best suited to most free draining soil types. A great companion plant for carrots.